Have you been looking for ways to increase your sales or revenue? You may have different company products and services. You can have an online bookstore, an IT company, or even a local charity, but you all have the same vision – to have page views that convert. And that’s where CRO comes in. How Can CRO Help You? How persuasive are you is your web copy? 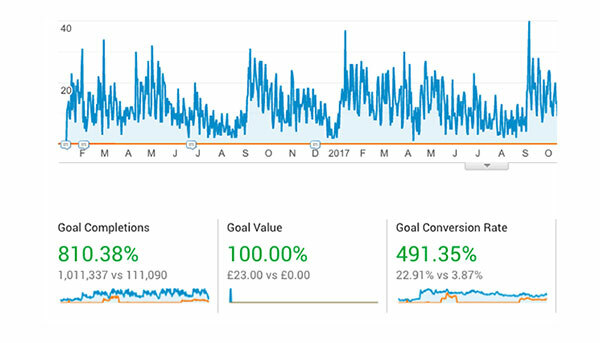 Conversion optimisation works great if you’re looking to turn in a percentage of your site visitors into real customers. In other words, they act to your call to action. The action can be downloading an ebook, filling up a form, making a purchase or signing up for a course. The goal of CRO is to increase the number of conversions from the amount of traffic available. It’s a test and learn approach where marketers experiment with the components of a webpage to find out the impact on conversion. A/B testing and multivariate testing to determine the best combination which converts more visitors into leads or customers. Did you try out CRO strategies on your website, only to see no noticeable results? Redesigning the whole website isn’t always the right way to go about things. No, CRO and SEO don’t hurt each other. To get the most out of this, you need to put the two in the same bag. And that’s where most marketers fumble. It’s a few common CRO mistakes you’re making that’s stopping you from moving ahead. We will just take a look at a few reasons for the roadblocks below. You have included a conversion form with a catchy CTA but still, don’t get the desired conversion. Recently, you have also got more incidents of abandoned carts what mistake did you make? Turns out, many marketers put too many distractions in their cart page or conversion form. You might find it tempting to get lost in an array of colours, fonts, texts, but that might not translate to conversions. According to another new survey, buyers look for a distraction-free shopping experience. Take a look at Amazon’s checkout page! Amazon eliminates all distractions like links or extra information to channel the buyer through the shopping experience. Airbnb also does a good job of removing clutter and distraction and encouraging the user to take action. The first thing you see when you land up on their website is the conversion form! So don’t put anything that can derail the customer from completing the order or action! If your site loads at a snail’s pace, you are surely going to lose on conversions. 50% of users will expect a site to load in under 2 seconds. Also, a delay of one second in loading time can reduce 7% conversions. Google has officially declared that mobile searches have outpaced desktop searches. So if you don’t have a ‘mobile-first’ approach, you are going to lose on conversions. Now it’s not enough to create a responsive website that works on mobile devices. You need to optimise your website for mobile traffic and then work on it to make it suitable for desktops. If you check your analytics, you will see that considerable traffic comes from mobile devices. You can’t ignore your mobile audience. Are you using your landing pages to convert your leads? Landing pages enable the customer to focus on a single concept. You can encourage your visitors to take action without confusing them with other information. MarketingSherpa says that 62% of B2B companies own less than 6 landing pages. You can create a separate landing page for your product or service and optimise the page elements to drive more conversions. You can also boost your search engine ranking by working on the keywords, link, content and images. Landing pages also help you to monitor customer activity closely. You can easily conduct A/B tests on various variants like images, content, page design and website copy to find the ones that work best. You can take help of different testing tools to make your job easy! Automating your workflow can empower your sales team and achieve more conversions. Did you know you can automatically re-engage customers who abandon your cart with an email? Or your sales reps can get instant notification when a lead checks out your pricing page? You can also send emails to leads and enable them to book meetings with a click! Achieve all of it with marketing automation. You can tweak your website and set up the automation to get more conversions out of your traffic. Say you are running a test and stop when it reaches 90% statistical significance. You think 90% is good enough and you can base your results on the statistics. When it comes to CRO, 90% significance is not enough to conclude. Marketers run their tests until they achieve a rate as a percentage of 98% to 99%. Understanding statistics is important to determine the accuracy of your results. Unless you know how to find the right statistics, your marketing efforts are not going to be successful. Set aside some time to learn how to interpret them. You can find guides to teach you about statistical significance, sample size, percentage change, confidence intervals and so on. Don’t forget to share this post with your social or ask us anything. An SEO wizard who loves to write, Jason holds a Majors in Economics and works across different niches seamlessly. You will find him trying out new SEO strategies for us if he isn't studying some book. Ready to take on some great multi-website adventures, he is currently working with several Anglux clients as our senior writer and consultant.